Most mothers can breastfeed their babies without incident. They can usually eat whatever they want whenever they want, without their dietary choices affecting their little ones very much. However, some breastfed babies may show sensitivity when Mom eats certain foods. Such food sensitivities can be a huge pain for babies and parents alike. Food sensitivities can lead to vomiting, wheezing, rashes, abnormal stool, itchy or stuffy nose and colic-like symptoms. The most common food sensitivity in infants is dairy. Milk protein allergy may affect up to 15 percent of babies. With this type of allergy, babies react not to the lactose in milk — as in lactose intolerance — but to proteins in cow's milk that may pass into human breast milk. To determine whether your baby is having an allergic reaction to milk proteins in your diet, it's often necessary to eliminate dairy and reintroduce it later to see if the same symptoms occur. That can mean cutting out all dairy products from your diet for anywhere from a few weeks to a few months. Depending on the severity of your baby's reaction, it may be necessary to eliminate dairy until you are no longer breastfeeding. Fortunately, most babies will outgrow food sensitivities between 6 months and 3 years of age. Sensitivity doesn't necessarily mean your baby will have a lifetime allergy, though symptoms may overlap. Even so, having a baby who has trouble with milk protein or other foods may require you to make significant, if temporary, changes to your diet if you are breastfeeding. Of course, you want a healthy baby, but transitioning away from dairy may feel like a drag. In the end, though, it will be worth it. Here are a few tips to make your dairy-free diet transition more manageable, for a happier baby and a happier you. If dairy has been part of your diet for a long time, it's likely your first few weeks without it will be a little tricky. Cheese, milk and treats like yogurt and ice cream can make up such large parts of our diets that you'll sorely miss them when you try to stop eating them. To tide you over until your baby's sensitivity fades, you may consider trying out dairy-free substitutes. Today, dairy-free alternatives to cheese, milk, yogurt and other products are readily available in grocery stores — even more so if you go to a health-food store. Almond milk and coconut milk, for example, are both delightful substitutes to enjoy over cereal or in coffee. One word of warning, though: Many babies who are sensitive to milk protein may also react badly to soy protein, so proceed with caution. Even if you avoid obvious dairy products like cheese and milk, you might still encounter dairy in some lesser-known forms. 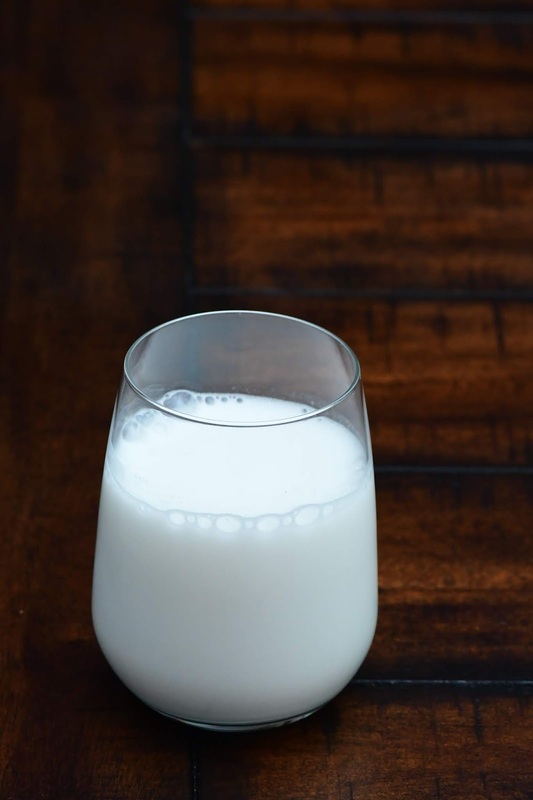 Depending on your baby, even small amounts of milk protein might trigger a reaction, so it's a good idea to familiarize yourself with some common hidden sources of dairy. In particular, look out for ingredients like casein hydrolysate and caseinate, which you might see on product labels instead of the more recognizable "milk." Some soy cheese and meat substitutes may also contain milk proteins, so it's always best to check packages. To make things easier on yourself, keep a digital or physical list of what products are dairy-free, so when you go to the store, you can pick up what you need without having to get out your reading glasses. If dairy has made up a large part of your diet until now, it's likely you'll need to fill in for some missing nutrients. In particular, you'll want to make sure you're getting enough protein and calcium in your diet. Luckily, there are lots of non-dairy sources of calcium and protein for you to rely on instead. Collard greens, kale, broccoli and sesame seeds are all full of calcium, and beans and legumes can provide both calcium and significant amounts of protein. Explore the range of your pantry and consult with your doctor if you're concerned about getting enough nutrients. By being mindful of your nutritional needs, you'll ensure both you and your baby feel healthy. When you're cutting dairy from your diet, it can be easy to feel excluded, especially if you have other kids or a partner who is regularly eating the things you aren't. Though you don't have to put your household on dairy lockdown, asking your family to support you in your decision can take a lot of pressure off you. You could do this by getting older kids involved and letting them help with cooking and coming up with new recipes. Or, you could plan a dairy-free ice cream sundae night. Chances are, your family will want to support your efforts to make your baby's life healthier, so don't be afraid to voice your feelings to them. Though you probably weren't planning on going dairy-free to breastfeed your baby, it doesn't have to be an unwelcome surprise. By doing your best to avoid dairy in all its forms while exploring alternatives and exciting new recipes, the months will fly by. Both you and your baby will thank you when it's all over.